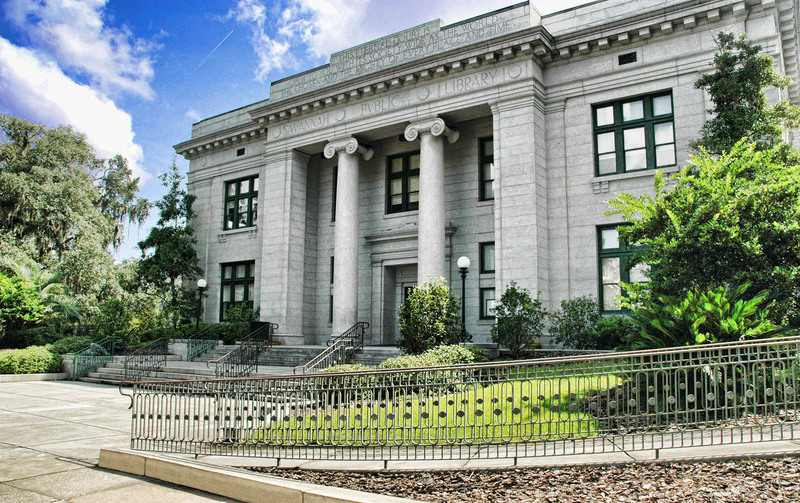 Located in Savannah’s Victorian district, the Live Oak Public Library, Bull Street Branch is the largest facility of the three-county library region. 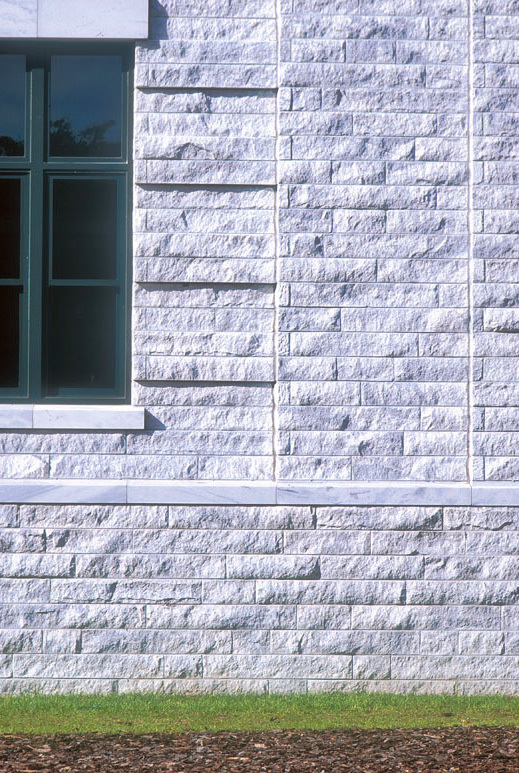 Prior to 1998, the library consisted of three distinctly different buildings: the original neo-classical Carnegie structure built in 1916; a 1936 stack addition; and a 1966 concrete-block addition. 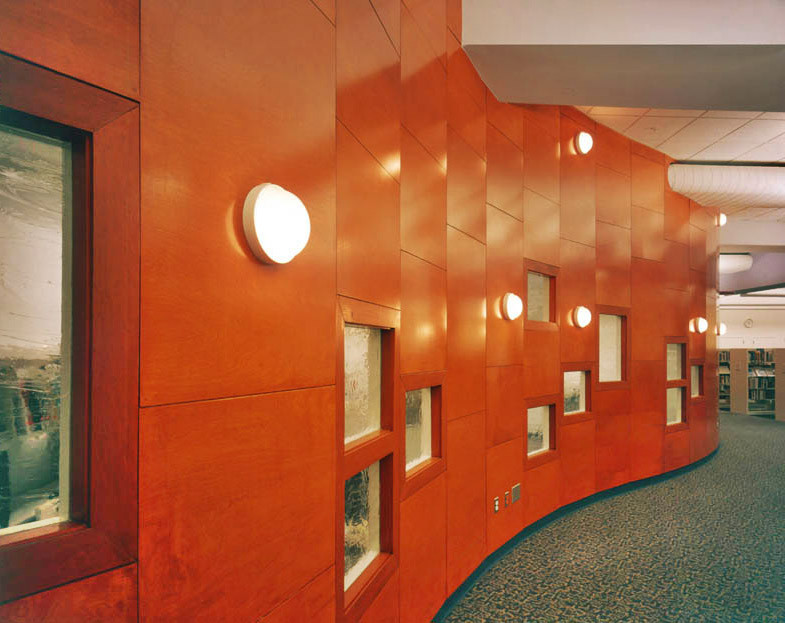 In 1995, the library identified needed capital improvements including new and expanded services, space for growing collections, incorporation of new technologies and building systems upgrades, which translated into a 34,000 sf, 2 story addition and the renovation of the existing 32,000 sf facility. Patrons enter through the original Carnegie entrance. Its interior has been reorganized to house services appropriate to the classically styled spaces. 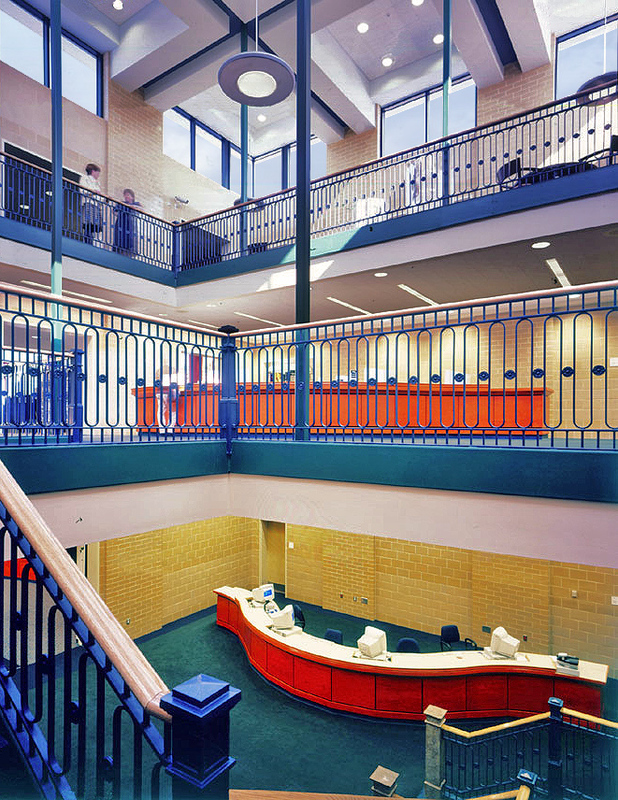 At ground level, the former checkout area has been returned to a sky-lit grand foyer with public meeting spaces and an expanded Georgia history and genealogy department. 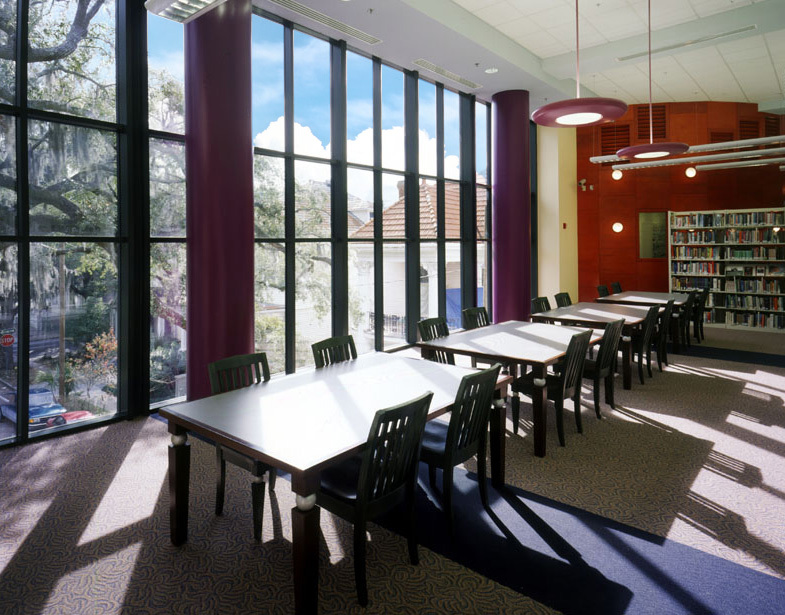 Expansive windows in reading and stack areas allow perusers to look out on sculptural limbs of oak trees, laden with Spanish moss.